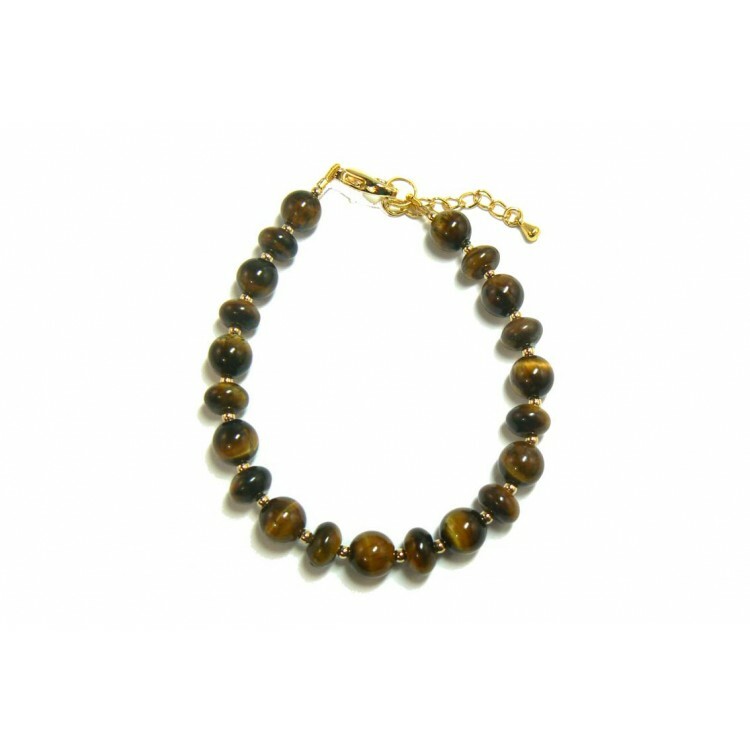 Stylish tiger's eye bracelet. Lovingly created using quality gemstone beads. A chatoyant gemstone with an alluring attraction to its optical reflectance. A stunning accessory to your autumn wardrobe. Tiger's Eye can be found in various colours ranging from a rich golden colour to a dark brown. Its rich palette of colour adds timeless beauty and warmth to all skin tones. I have made this bracelet using rondelle and round shaped beads strung alternately with tiny gold plated spacer beads between. It measures 8" (20cm) long and I have added a gold plated extension chain so that it can be worn longer if required. The gold plated clasp and extension chain are "nickel free" to comply with EU directives.